Considering of having new residential garage door installation? Building a new home and looking for the perfect residential garage door installation design? Your garage is a vital part of your home and often taken for granted. Most standard garage doors need regular maintenance and replacement, wasting your time and money when not installed properly. At ADR Garage Doors, we guarantee high quality and long lasting residential garage door installation services that drastically increase the value of your property and reduce future maintenance costs. Not only does a new residential garage door installation increase your home’s appearance, it drastically increases the value of your home while cutting down on your cooling and heating costs. Offering over 150 design options from top brands in the industry. ADR Garage Doors has the ideal garage door to suit your home while keeping your storage secure and safe. 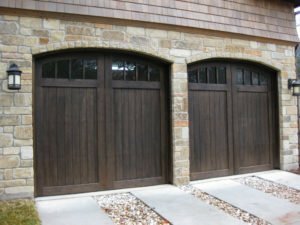 With years of experience in York region, ADR Garage Door guarantees all of our garage door installations and replacements done with high quality using the latest techniques in the industry. ADR Garage Door proudly offers unlimited warranties, guaranteeing your new garage door for as long as you own your home. Call one of our garage door specialists today for great, long-lasting garage door replacement services! Whether you’re looking for garage door installation, repair, or new openers installation, call ADR Garage Door for reliable, professional and quick services in York Region, Simcoe Region, Durham Region, City of Toronto, and Halton Region.